the firing which begins tomorrow. I have a permanent detail of a sergeant, two corporals, and fourteen men and will have seventy two other noncoms and privates to keep busy, too, during the actual firing. 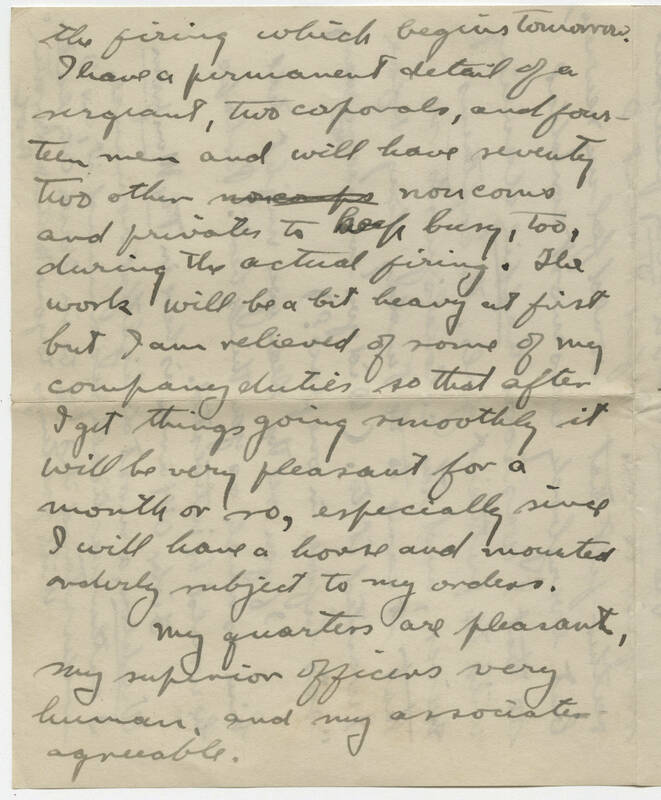 The work will be a bit heavy at first but I am relieved of some of my company duties so that after I get things going smoothly it will be very pleasant for a month or so, especially since I will have a horse and mounted orderly subject to my orders. My quarters are pleasant, my superior officers very human, and my associates agreeable.